Indian blackberry or Java Plum or Jamun is loaded with full of nutrients which is really great for improving health. 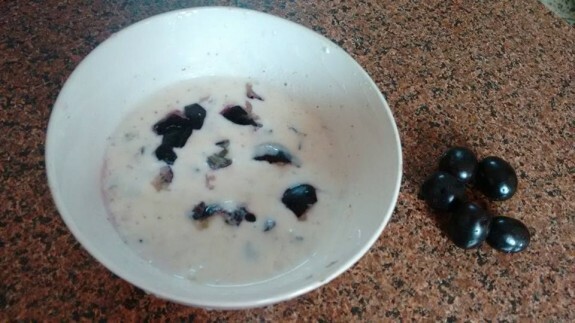 Try to make Jamun Raita as a seasonal fruit which could be delicious for its unique flavour and tangy taste. You can easily serve this raita with pulao or any other mid day meal. 1. Take a bowl and add curd, sugar and salt. Whisk it properly to a smooth mixture. 2. Add cumin powder and again mix it well. 3. Now, add the black jamun pulp and mix everything. 4. Refrigerate it for 30 mins. 5. Serve it chilled and garnish it with coriander leaves.